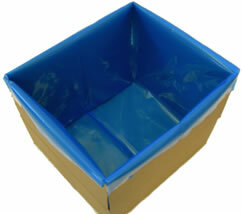 Our Block bottom bags, also known as block bottom liners, are manufactured in house to any size and specification. They are used for lining rectanguar containers, where a flat bottom is required. 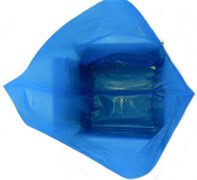 The flat bottom reduces risk of product being trapped in creases and folds, that may happen with gussetted bags.